Mozzarella is a very popular ingredient, but why are there such huge differences in quality? Mozzarella is the name used to designate two types of young cheese: the original mozzarella di bufala and mozzarella made from cow's milk. Although both cheeses are prepared according to the same method, the taste and the texture vary considerably! There is also a difference in colour. Cow's milk mozzarella is not as white as buffalo mozzarella, because cow's milk contains carotene. Buffalo mozzarella is the classic variant, but even within this category there are some big differences. This is due to a number of factors, primarily the preparation method and the type of milk used (e.g. pasteurised or non-pasteurised). Traditional mozzarella has a smooth, ultra-thin membranous skin and a layered texture that becomes more fine-grained and fluffy as it ripens. The 'pressed' cow's milk variant, however, has a more uniform texture. If you want to be absolutely certain that your mozzarella contains only buffalo's milk, buy 'mozzarella di bufala Campana'. This mozzarella is not mixed with cow's milk. Sometimes mozzarella is sold in its natural juices (whey), but more often lightly salted brine is used. 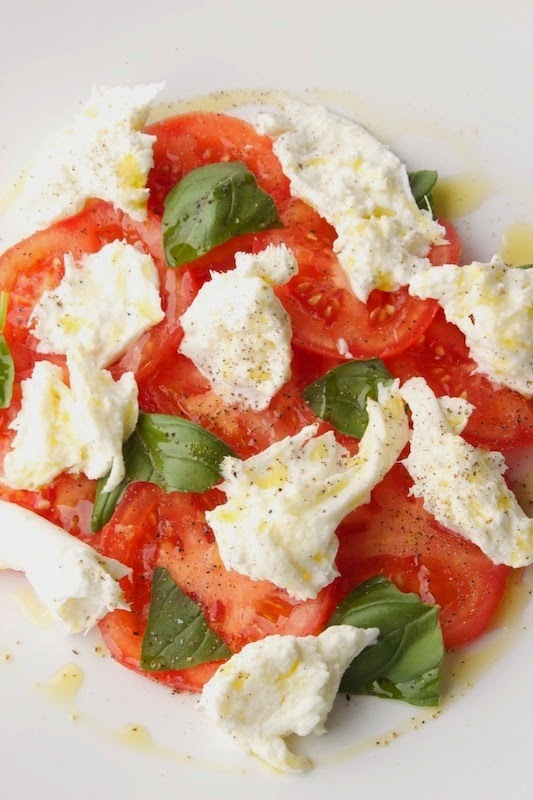 The best-known mozzarella classic is, of course, insalata Caprese. Click here for the traditional recipe.